Who knew Duck Tape crafts could be so fun. My kids have always ask for some but never really caved in. Well I just got 4 rolls of Halloween Duck Tape®and now I am addicted. I have already made 4 Duck Tape Crafts for Halloween. I better not get near the dog, I really can’t make her a Halloween costume out of Duck Tape® that won’t take off her fur. 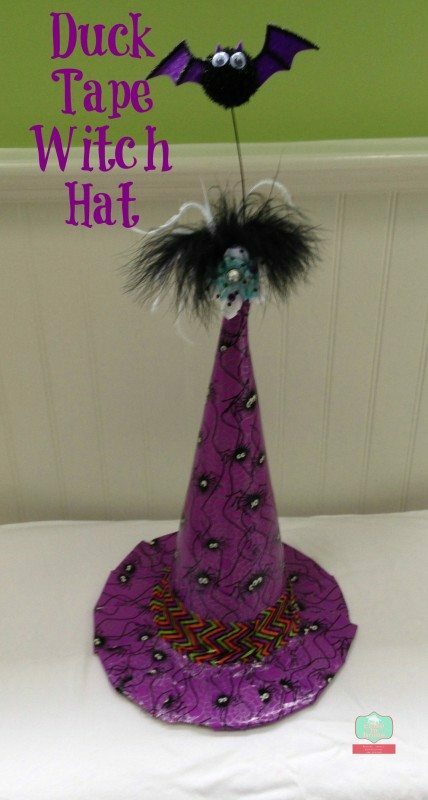 From wickedly wonderful witches hats to carefully crafted trick-or-treat bags, Duck Tape® makes the perfect tool to add a bit of fanciful flair to your Halloween creations. Cover fabric to fashion easy Halloween costumes, or pick up a few rolls to add some spooky sophistication to centerpieces, placemats and other home décor items. 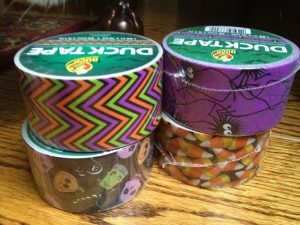 Here are some of the fun Duck Tape Crafts for Halloween Crafts I came up with using Duck Tape® . 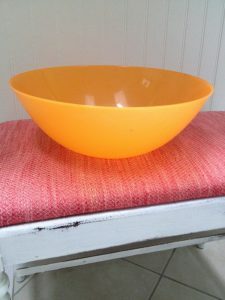 First I went with a candy bowl. 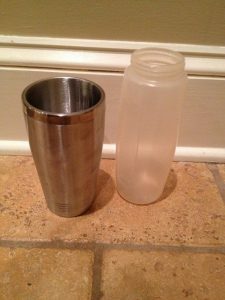 I found this plastic one 1/2 off only a $1 from the summer selection but I am pretty sure you can find one at the dollar store too. Such an easy and first step into doing Duck Tape Crafts. 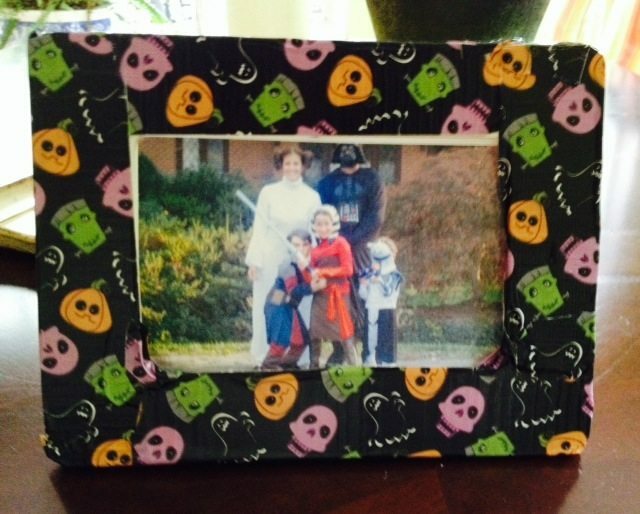 Next I went with a traditional item, an inexpensive wooden frame. 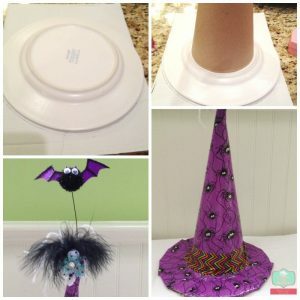 Thought these would make a fun classroom Halloween craft activity. Now that I have done this once I will definitely invest in a better quality frame that I can safely store my pictures. 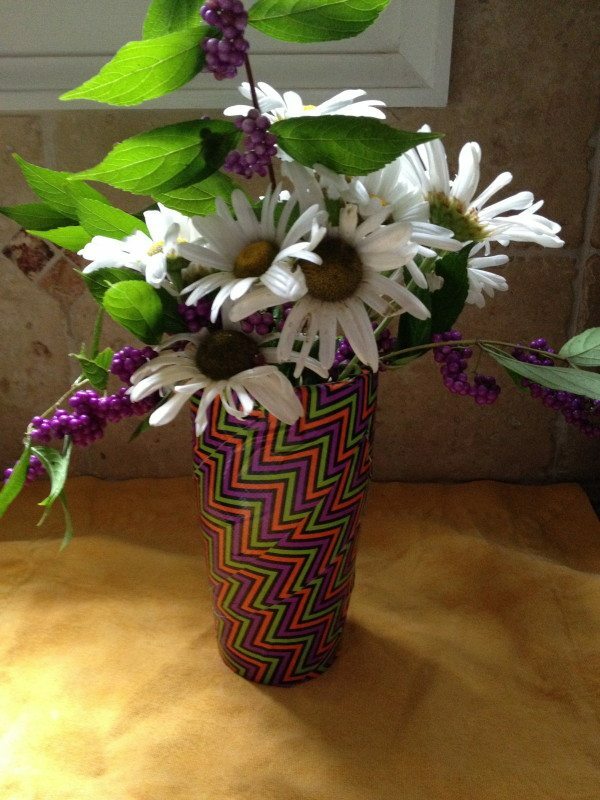 Had some old cups that no longer had tops so I turned them into a festive vase..
No need to throw these away, you can now store them in the Halloween container in the attic until next year. Finally I needed a new centerpiece and found some paper mache witch hats but they were over $6. I found a paper mache cone for a little over a dollar and just cut out the brim from cardboard I already had around the house. Less messy than carving, Duck Tape® is also ideal for perfecting indoor and outdoor pumpkin displays. This Halloween, have a frighteningly fun time – and possibly win some cash – in the Duck® brand Stick or Treat® Jack-O-Lantern Contest. The Stick or Treat® Contest dares you to decorate your own unique real or artificial pumpkin using the spellbinding special palette of Duck Tape®colors and designs for a chance to win a seriously sweet treat: a $1,000 cash grand prize. Whether it’s a classically spooky Jack-O-Lantern or a Halloween-inspired monster all your own, the decorating possibilities are endless. With tricks and treats from Duck Tape®, your Halloween is sure to be so fun, it’s scary! 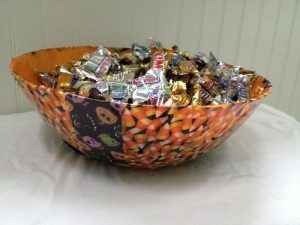 To find more Halloween inspiration, go to Pinterest.com/TheDuckBrand. For inspiration or to share your Duck Tape® creation, visit DuckBrand.com. 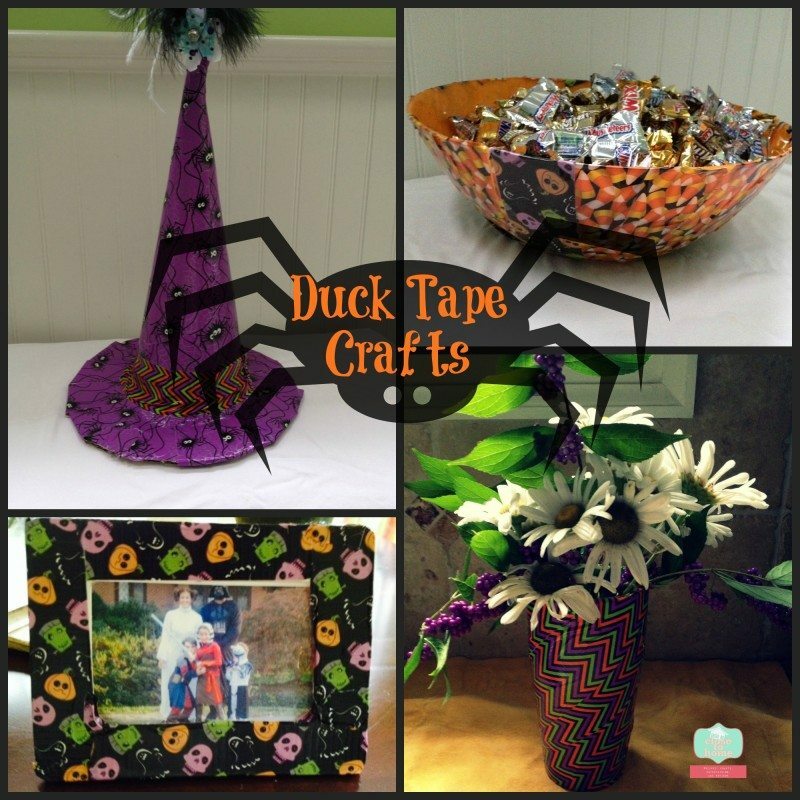 Which Duck Tape Craft would you make for Halloween? I was walking through Michaels the other day and saw a bin of different, wonderfully coloured Duck Tape and couldn’t resist buying a couple rolls. My only problem was that I didn’t know what to do with them! Thanks for these ideas, I’ll definitely be trying them out!